Why You Need This Part: This is another part that always seems to get stuck and then crack when you try and remove them. Sometimes we see an engine with them missing! Well, a new set of these Honda CB350 / CB360 / CB550 valve covers should do you well. 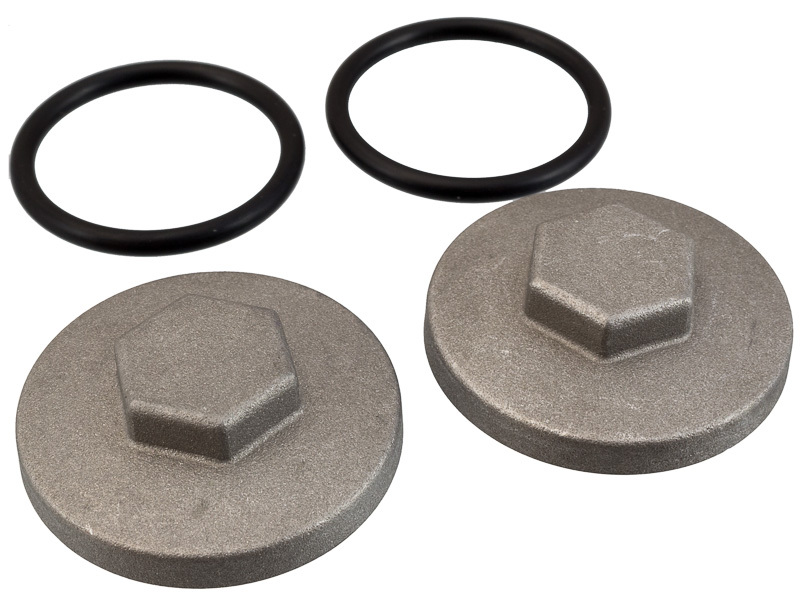 These are exact replacement tappet covers for a wide range of Hondas built from the late 60's to the 70's. They are sold as a pair with a fresh set of o-rings. While you're replacing these make sure you're valve adjusters are in good shape and within tolerance. Installation Tip: Use a small dab of anti-seize on the threads; do not over tighten, just snug them up. I didnt even realize i had a cracked valve cover until i watched a few common motor videos and it was mentioned, so the next time i pulled them off sure enough it was cracked. Thanks to common motor the replacement was as easy as ever. Screw them on and snug them up,problem solved. I have a rescue CB350. One of the Valve covers had been removed at some time with a Chisel. Hey it happens . These are good quality items. ,It's nice that they come in pairs and include the O-ring. Completely satisfied. Thanks.